*instinctools will be working with XTM International as a part of their technology partnership to offer customers an integrated solution for authoring, managing and global delivery of structured content based on DITA. Stuttgart, October 29, 2013 — *instinctools, provider of DITAworks, a DITA CMS and XTM International, a leader in web-based translation technology have entered into a partnership agreement to provide end-to-end enterprise level solutions for creating, translating and publishing content for global markets. The two companies will be leveraging each other’s competences to provide their customers integrated solutions for complete documentation and localization processes. DITAworks is a complex DITA CMS for authoring, managing and publishing structured content. It is designed to make users benefit from single source principles. Following the motto “write once – publish everywhere”, it provides optimized support for content reuse. DITAworks increases efficiency in areas like technical communication, e-Learning, marketing material management and financial reporting. DITAworks comes in the form of either desktop, web-based or cloud based solution. 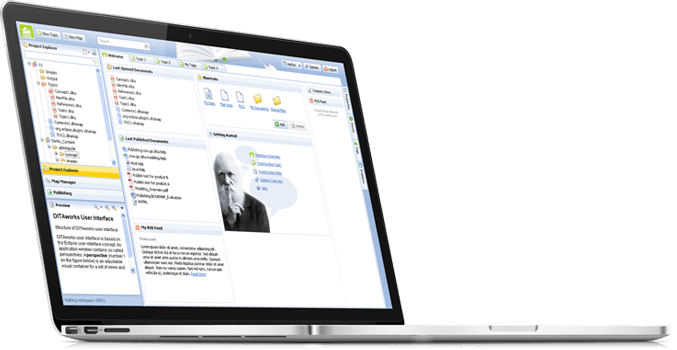 XTM is a complete range of tools for the translator, reviewer and project manager. It is a fully featured computer aided translation (CAT) tool and translation management system (TMS), developed by XTM International. XTM customers have the choice between XTM Suite to be hosted on their own servers and XTM Cloud, a software-as-a-service offering. The timely localization of product information, while keeping quality, schedules and budgets under control is a major challenge for documentation departments. The integrated DITAworks and XTM solution will enable global players to meet their targets in terms of cost saving, time-to-market and quality. “We are pleased to offer XTM’s exciting translation management technology to our customers. The customers will benefit from an integrated support for content management and localization. XTM is a perfect fit for DITAworks since both tools offer customers the option to either install it on their own servers or access it as SaaS from the cloud.“ said Gunthilde Sohn, Managing Director of *instinctools. “We are delighted to be working with *instinctools. From the outset XTM has been designed to translate DITA content effectively, so the integration with DITAworks will offer users an excellent platform for creating and maintaining multilingual content.” said Bob Willans CEO of XTM International. For more detail about XTM visit http://www.xtm-intl.com/.